I am writing to you on behalf of myself and other professionals in our firm about an issue that comes up time and time again. The issue has to do with how to give difficult advice to a client – the kind of advice they don’t want to hear or definitely weren’t expecting – and whether we are jeopardizing our relationship with them by dishing it out. The question is, how gentle should we be? I say a definitely “no” on gentle. You have to tell it like it is because your job depends upon it. Your professional integrity depends on it as well. The more essential you are perceived in your client’s life, the more likely you are to be retained in difficult situations – when your client needs you the most. The truth is, if you waffle and soft-shoe around every issue you may be viewed as sweet, but hardly essential. My advice to you is to ask your client before you start working together about how straightforward you are expected to be. If the answer is “tell us as you see it,” do it! I’m a consultant and I have a rotten track record getting the kind of advance payment you have previously recommended. I know that other consultants carry this practice off smoothly and I’m convinced it can be done. Any ideas about what I could be doing wrong? Failure in this area most often comes from consultants who appear to be begging for business or convey a lack of confidence in themselves. Your clients need to know that you don’t need the business – that you are prepared to walk – if that business is neither the right business nor packaged in the right terms. You are in control, not as a bully but as someone who sets the tone for your professional relationship. That tone must convey that if your client is fortunate, you will be glad to assist them. Part of the “right terms” is your requirement for the advance payment you refer to. It’s indicated straightforwardly with no apologies. If the client wants you, they won’t argue with the payment schedule. Thanks for your recent comments about selecting consultants and outside professionals. We are going to be hiring several in the near future and wonder if you have some thoughts for us to keep in mind when working with our advisers. Don’t assume anything. Tell your consultant everything relevant to the issue(s) they are dealing with. Let them know what your expectations are and what they are not. Have very clear checkpoints where you review the consultant’s progress with your project. Don’t forget that consultants offer advice – you are the final answer. Ultimately, responsibility for any decisions arising from the consultant’s information and/or work rests with you. Dr. Lynda Falkenstein is a business consultant and author of NICHECRAFT: Using Your Specialness to Focus Your Business, Corner Your Market, and Make Customers Seek You Out. To contact the Niche Doctor with questions or comments, email DrNiche@vbjusa.com or call 503.781.0966. 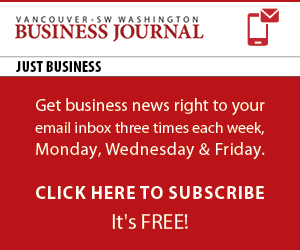 Please note that the Vancouver Business Journal reserves the right to publish your letter or an edited version in all print and electronic media.